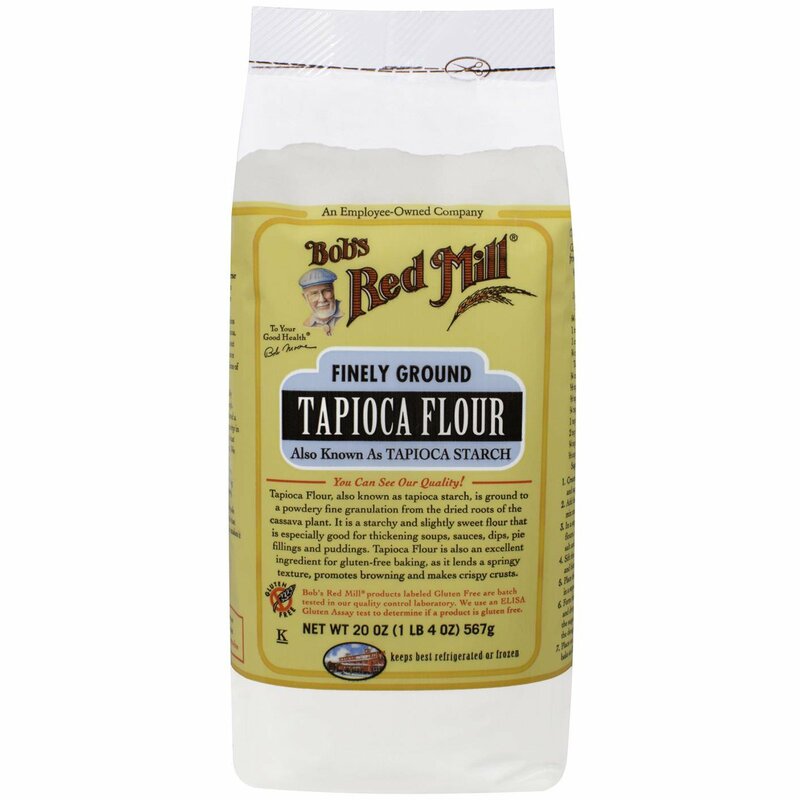 Tapioca Flour, also known as tapioca starch, is ground to powdery fine granulation from the dried roots of the cassava plant. It is a starchy and slightly sweet flour that is especially good for thickening soups, sauces, dips, pie fillings and puddings. 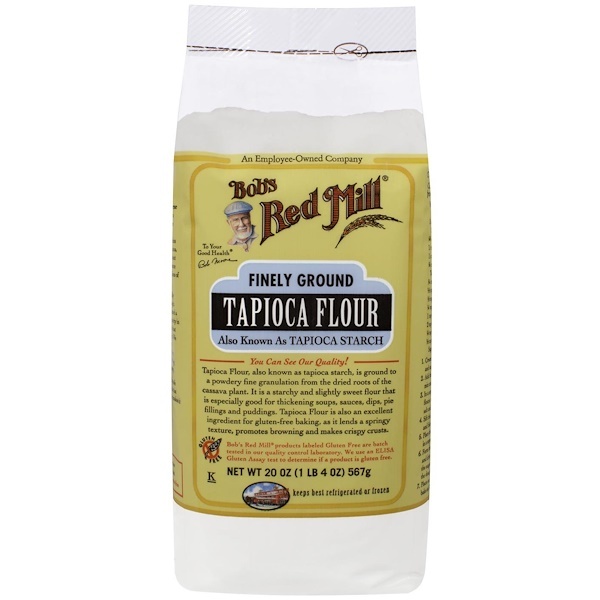 Tapioca Flour is also an excellent ingredient for gluten-free baking, as it lends a springy texture, promotes browning and makes crispy crusts. 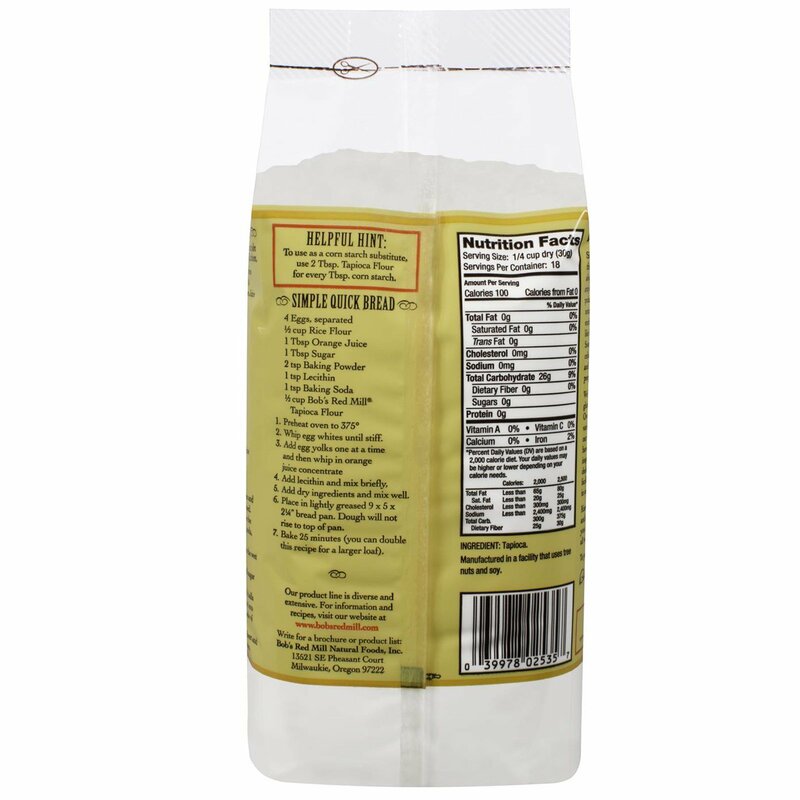 Helpful Hint: As a corn starch substitute, use 2 Tbsp Tapioca Flour for every Tbsp corn starch.